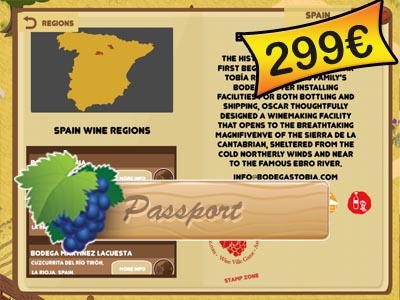 If you are one of the first 10 wineries to purchase this service, you will be present in Wine Ville whilst the game is active. We are aware of the fact that we have got a few months ahead of us before seeing light (13th March) and this is why we are giving some privileges to those of you who are believing in us from the start. Besides this, we will give a voice in our social networks and if you wish we could promote your winery and organize groups for personal visits. We have already done so with other wineries such as Bodegas Paco García , Bodega Tobía , Bodega Don Carlos XV, Bodega Portia y Bodegas Lagar de Isilla. 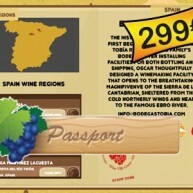 For just 299€ you will be present in the Wine Ville game passport with your name and real branding. You can show info about your winery localization, contact info, a text about your winery and a link to your corporate video.